Searching for information on All Sim services of Bangladesh? This app is the best solution ever. Who doesn't want to know about new and exciting offers? Everyone does! All offers of your sim operator can be found easily, just with a single click.Don't worry, You will get notification of great offers if you are connected, even if the app is not open. Confused while buying internet packs? All internet packs with full details can be bought with a single click. Managing your FnFs easily. The app will bring you without any difficulties. Have a healthy relation with your friends, family, and dear ones. Need to buy SMS or activate some services but don't know the USSD code. :) Why so afraid? Sim service Manager will do this with your favour. Which prepaid is suitable for you? Get all prepaid packs details and active instantly with it and keep a smiley face. Want daily tips and tricks to make your life better? Or want to know about new and popular games or applications? Tips and tricks section will fulfil your demands. The most attractive feature is that You can request for tips, topics or any other thing to discuss. 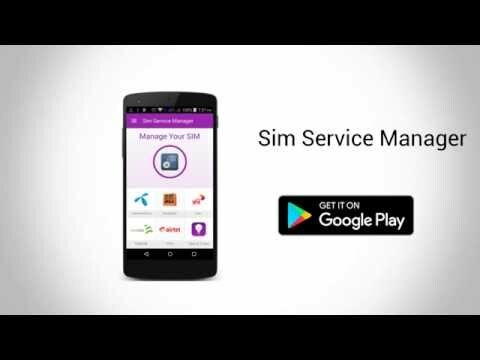 Hope to make your life a little bit easier with sim service manager.